Credit Score Advisor© is a blog and newsletter that provides news and information of use to realtors and mortgage professionals. If you are a mortgage professional and not receiving our newsletter, please use the form on the right to subscribe. A year ago we registered Credit Security Group as a business on Google. This month we passed the 100 mark in 5-star reviews from our clients. We are very grateful for our clients and appreciate that so many have taken the time to tell about their experience on Google reviews. And, we’re very grateful to our mortgage professional partners who refer these folks to us so we can be of help. From our analysts Eddie, Mike, Lance, Rosalind, from our Research staff , Diana, Angel and Mary and from everyone at CSG: Thank you! How do you know the effect of a single late payment on FICO score? A FICO score is a number predicting future credit performance based on credit history. Like any person’s past, it’s difficult to say precisely what was the effect of a past event on the present. Past credit events and current FICO scores are the same way. We’ve analyzed tens of thousands of credit files, hundreds of thousands of negative events, databased before-and-afters… We know how negative events affect FICO mortgage scores – and how many points they cost the borrower. This is what we do. But, it gets complicated. It is extremely rare to see the effect of a single negative event by itself, shown this clearly, in the FICO score. That’s what makes this recent credit file special. This file that isolates and reveals the cost of a recent 30-day late – all by itself – on the borrower’s score. So obvious that anyone can see it. This borrower had an inaccurate 30 day late payment on his credit report. The creditor notified the bureaus. Somehow, TransUnion didn’t get the message. It remained in their file and not in the others. The TransUnion score was 61 points lower than Experian and 63 points lower than Equifax. The difference is due only to the late payment. For most people, this 60+ point drop would be astounding. And far too many think that after they catch up, any harm goes away. Wrong. They were late paying; it’s still part of their credit history. Usually, this is the most surprising thing for borrowers when we teach it during our education phase. Now imagine this happening after approval and before closing. That’s why we constantly remind borrowers to be perfect with payments during the buying process and recommend mortgage professionals do the same whenever they can. FICO score models used for credit cards and auto loans are very different. Bankcard and auto scores are based on FICO 8 model and are much more forgiving of single late payments – and lower amount negative items. The new standards on public records reporting at the three major credit reporting bureaus went into effect July 1, 2017. There’s been quite a bit of confusion in the the lending world about what this means. One thing is for certain: many public records that used to be found on credit reports are no longer there. Lenders are still responsible for knowing this information, and other service providers are filling the gaps to provide it, usually at additional expense to the lender. But what is the effect – now – on credit scores? In February of 2018, the Consumer Finance Protection Bureau (CFPB) released a report of their findings on the impact of the new requirements on credit scores. John Culhane Jr. of Consumer Finance Monitor analyzed these results in his article: “CFPB report finds removal of public record data has small effect on credit scores.” The title tells you his summary of the CFPB analysis. How many public records were removed from credit reports due to the new requirements? In June 2017, soon before the new standards were implemented, 6 percent of consumers had a civil judgment or tax lien. As a result of the new standards, about 83 percent of these consumers lost one or more judgments or liens in July 2017. After the new standards were implemented, only 1.4 percent of consumers had a tax lien on their credit reports. That’s a huge percentage of those who had public records who no longer have them in their credit file at the bureaus – gone from their report, scoring model and FICO mortgage score. What is the result on credit scores? About 4 percent of consumers with civil judgments or tax liens on their credit reports in June 2017 experienced an increase in their credit scores in September 2017 due to the new standards. 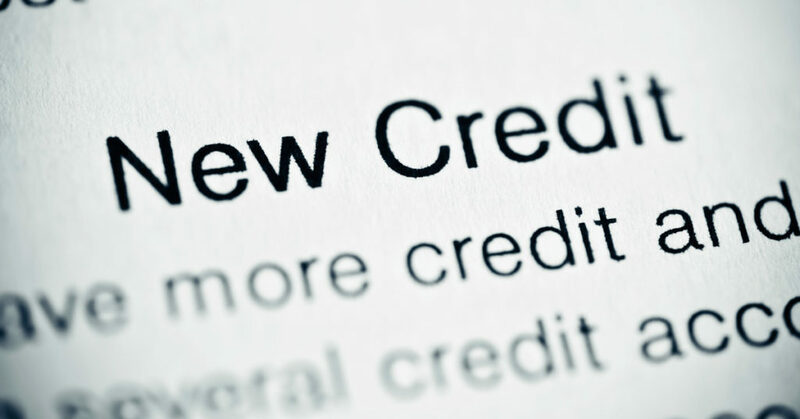 How can removing judgments and liens have such a small effect on credit scores? The CFPB seems to suggest that the small effect might have been expected because consumers who had civil judgments and tax liens also had more delinquencies and more derogatory information in their credit reports. The new report’s findings might be seen as subtle criticism by the CFPB under Mick Mulvaney of the Plan and former Director Cordray’s CFPB. In other words, the report’s findings could be seen to show that the concerns about the reporting of civil judgments and tax liens that drove the [National Consumer Assistance] Plan were largely overblown. We’re left in a ‘who do you trust’ position, statistically speaking. You can read Culhane’s article here, and see the CFPB full report here. Will public records reappear on credit reports in the future? The changes to the standards were part of the National Consumer Assistance Plan:. The NCAP was the result of settlement agreements between the NCRCs [Nationwide Credit Reporting Companies – Equifax, Experian, TransUnion] and over 30 State Attorneys General… Starting July 1, 2017, public record data furnished to the NCRCs for inclusion on credit reports had to contain name, address, and Social Security Number and/or date of birth, and had to be refreshed at least every 90 days. Theoretically, this could be fixed going forward. Whether these requirements are met and these public records make it back into credit reports remains to be seen. We’ve helped mortgage professionals close over a billion dollars in home loans. If you’re a mortgage loan officer or broker, please visit our page For Mortgage Professionals to learn how and why to refer your borrowers. Or contact us to discuss how we can help you. His debt-to-income ratio, loaned value in the house, and a 680-plus credit score would normally result in automated approval at Fannie and Freddie. But the loan officer can’t get automated approval. Automated underwriting findings were flagging a lot of recent accounts and inquiries. This is critical to make sure new accounts will increase your borrower’s score – not lower it. We first applied for and were granted accreditation by the Better Business Bureau in May, 2009. We greatly appreciate the work they do in our industry by helping people find businesses they can trust. We realize that when you refer your borrowers to us, both of our reputations are at stake. That’s why everyone on our teams works to make sure that every borrower is helped and is treated with great respect and honesty. The result is our BBB A+ rating, hundreds of client testimonials and 5-star Google reviews. We very grateful for these and most of all grateful for the trust you place in us when you refer. Loan officers miss this a lot and so do consumers. Things have changed since this tactic began over 12 years ago. The mortgage world responded and now it’s just not that simple or effective. Unfortunately, this fallacy persists in the mortgage industry. “I have a lot of people hiring attorneys to dispute everything from kingdom come and back. And then they come to us and want to do a conventional loan, and it ain’t happening. There’s an assumption that when you write a letter or dispute something online, which creates a 30-day investigation (called a reinvestigation under the Fair Credit Reporting Act), that you are putting the account “in dispute” and removing its effect on the credit score. But reinvestigation and “in dispute” are two different things. This goes back to the Metro 2 code where there are very different types of disputes: disputed by consumer, dispute resolution pending, dispute after resolution. One of those may or may not be on the account when it’s over. Not every disputed account will remain in dispute when the investigation is completed. Not every account that is in dispute when the investigation is completed is out of the scores. Disputing information at the the credit bureaus and with creditors is sometimes warranted and of value to the borrower. There is a valid use but always with the loan program in mind – and after a thorough analysis of the full credit file and the borrower’s situation, goal and time frame. Mortgage professionals should very wary of so-called credit repair companies that advise disputing all negative accounts. Increasing FHA loan limits is very good news for homebuyers getting squeezed by increasing home prices. Texas FHA Loan Limits by County (pdf).